America's high incarceration rates are a well-known facet of contemporary political conversations. Mentioned far less often is what happens to the nearly 700,000 former prisoners who rejoin society each year. 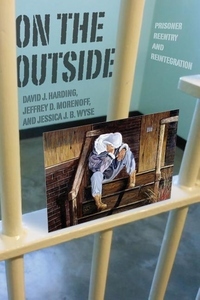 On the Outside examines the lives of twenty-two people--varied in race and gender but united by their time in the criminal justice system--as they pass out of the prison gates and back into the world. The book takes a clear-eyed look at the challenges faced by formerly incarcerated citizens as they try to find work, housing, and stable communities. Standing alongside these individual portraits is a quantitative study conducted by the authors that followed every state prisoner in Michigan who was released on parole in 2003 (roughly 11,000 individuals) for the next seven years, providing a comprehensive view of their postprison neighborhoods, families, employment, and contact with the parole system. On the Outside delivers a powerful combination of hard data and personal narrative that shows why our country continues to struggle with the social and economic reintegration of the formerly incarcerated. For further information, please visit ontheoutsidebook.us.